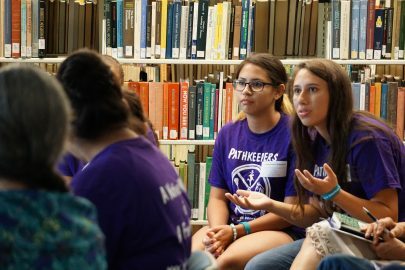 On Friday July 22nd, 2016, the White House Initiative on American Indian and Alaska Native Education (WHIAIANE) and the Office of Indian Education (OIE) hosted the Pathkeepers Indigenous Knowledge Youth Leadership Camp for round table discussion on the importance of culture and representation in their education. Department staff heard from 31 students ages 11-18, representing nations across the country such as the Navajo Nation, Zuni Pueblo, Salt River Pima-Maricopa, Onondaga Nation, Hopi, Upper Mattaponi, Gila River, Confederated Salish & Kootenai, Blackfeet, Chippewa Cree, and San Felipe Pueblo just to name a few. 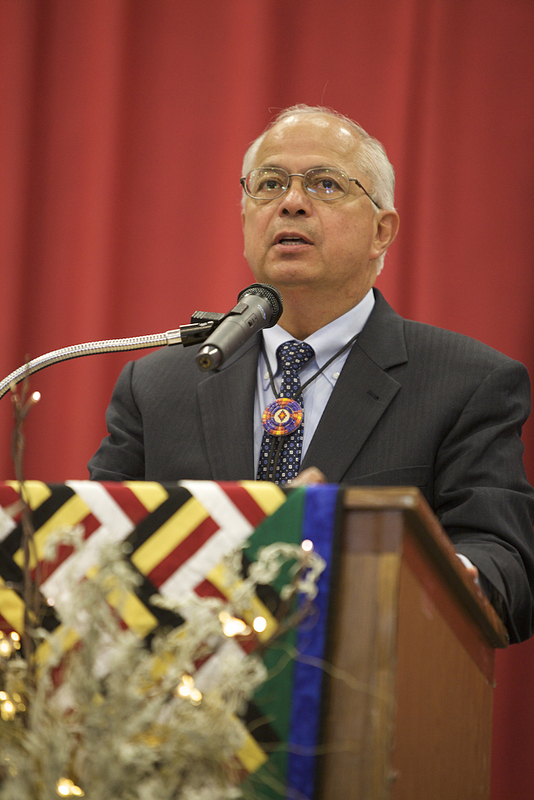 Ron Lessard, chief of staff of WHIAIANE, welcomed the group and Joyce Silverthorne provided an informational overview on the role of the OIE in their schools. The President of the Pathkeepers for Indigenous Knowledge program, Angelina Okuda-Jacobs, Lumbee, had prepped her students on school environment issues and the importance of culture, tradition, and Native languages. Okuda-Jacobs emphasized the importance of bringing youth from around the country together to engage them in the policy process early, to provide their valuable on-the-ground feedback, and to help them realize that they are not alone in the struggles or successes they may experience in their own communities. The students displayed a depth of understanding about stereotypical representation, historical trauma, and its modern effects in their own communities in a way that seemed wise beyond their young years. Discussion questions asked what their school environment and education meant to them. They shared stories of being the only Native student in their urban schools and being made to feel historical and fictional through the representations in the media and the way their classmates approached them. When asked what their perfect school would have, students shared the idea of online learning where students can learn at their own pace and take prescriptive tests in the beginning of their units. Others touted a school day that started later in the morning, had more recess, and did project-based learning. Space was provided for students to share their personal stories and experiences. One student shared their explicit goals to attend American University for political science and move on to law school at Arizona State University in order to advocate for their tribe. This ambition started as an example set by role models and attending a Senate Committee on Indian Affairs hearing when they were 7 years old. Others challenged visibility stereotypes and are changing the narrative on what the identity of being Native American means for someone who does not “look” the part. 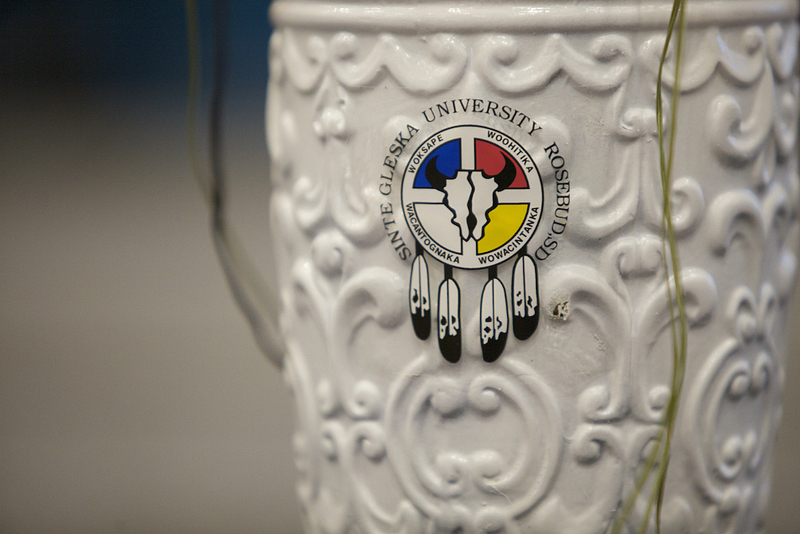 This space encouraged listeners to get out of the deficit mindset when thinking of Native students and give praise to their accomplishments and leadership. These students are in challenging courses, applying to colleges, speaking their languages, taking care of their families, active in honor societies, graduating high school, and remaining grounded in the foundation of their culture as they do so. 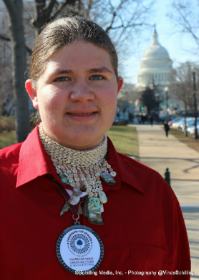 The White House Initiative on American Indian and Alaska Native Education supports positive representations of Native youth from communities all over the country. These young people are the reason behind the mission of the WHIAIANE and have helped to reinforce the country’s responsibility to recognize and educate all of its citizens. Learn more about Pathkeepers here. 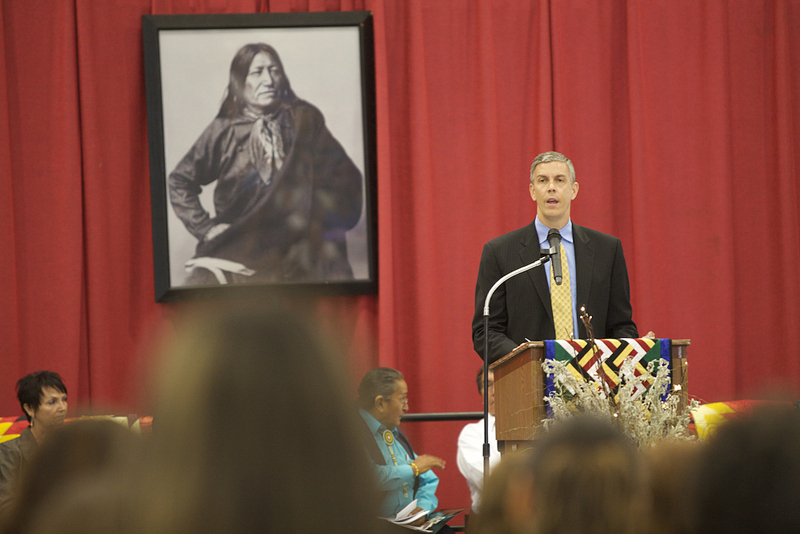 As a young Native American, I see the difficulties and struggles that follow us every day. I see how other Native boys are affected by the devastating statistics that haunt Native Americans; we have the highest dropout rate, lowest numbers represented in college, and young Native men have the highest suicide rates among all ethnicities. Observing these tragedies unfold right in front of my eyes, I decided to make a change. 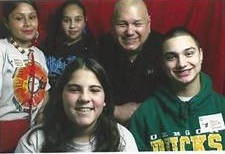 About two years ago, I began a peer-to-peer youth study group called NERDS; Native Education Raising Dedicated Students. I work with both males and females, but it would appear as though the program has had the largest effect on the young men who participate. There are numerous inspirational stories of young Native men who have beat the odds and have refused to become a statistic, but there is one boy that really sticks out when I think of the program I started and lives I wanted to improve. When I started NERDS in my eighth grade year, I had a hard time getting students to come in and actually work. One of my best friends, someone who consider like a brother, was another Native boy. We had grown up playing football together and loved the bond we shared being Native. Like many other Natives, Doug didn’t come from best home. His family was poverty stricken and living in poor conditions. He wasn’t able to focus in school, causing his grades to slip. He didn’t have a high enough GPA to play high school football and we both knew it. I talked to him one day and told him that if he would come in after school and join NERDS, I could help him get his grades up. He was immediately engrossed and couldn’t wait to come in after school that day. Once the bell rang for school to end, I headed over to the classroom we worked in. When I opened the door, Doug was already there, with his homework out and ready to work. After about two weeks, there was a substantial change in Doug’s grades. He had gone from almost all F’s to C’s and B’s. By the end of the school year, Doug had all A’s and B’s. He went from not being able to walk across the stage at eighth grade graduation or playing high school sports to having one of the best GPA’s in the school. I’m extremely proud to say that Doug is still very active in NERDS, has great grades, and is active in high school sports, leading our football team in touchdowns last year and running one of the fastest times on our track team. Doug didn’t succeed by having a tutor or help on his homework, he said that he succeeded because there were people who cared about him and friends who he didn’t want to let down. Dahkota is a sophomore in high school who understands the importance of education and the need for encouragement from peers, family, community and the school system. Dahkota started his own peer-to- peer study group called NERDS (Native Education Raising Dedicated Students). As part of this study group, Dahkota works with local high schools and middle schools to help Native American students better connect with and relate to lessons. His efforts include working with students to create mock- quizzes as well as reviewing homework and classwork. Through college diversity programs, Dahkota plans to arrange a field trip with his study g roup to visit colleges and universities in California to encourage his peers to apply for college and continue their hard work in high school. I grew up listening to my father sing traditional Acoma songs as we would drive to the mountains and at the age seven I didn’t understand why; until I became old enough to learn that we were going to pray. It took even longer to understand why we pray—and a couple more years to understand that we pray in the following sequence for: the land, the rain, the animals, the world, the country, the Acoma community, our families, and finally for ourselves. 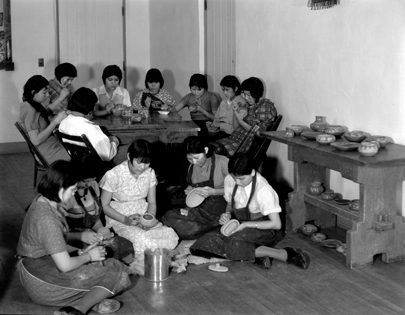 I continued to learn these type of skills along with a western education when I entered the doors Santa Fe Indian School (SFIS) for my high school career. 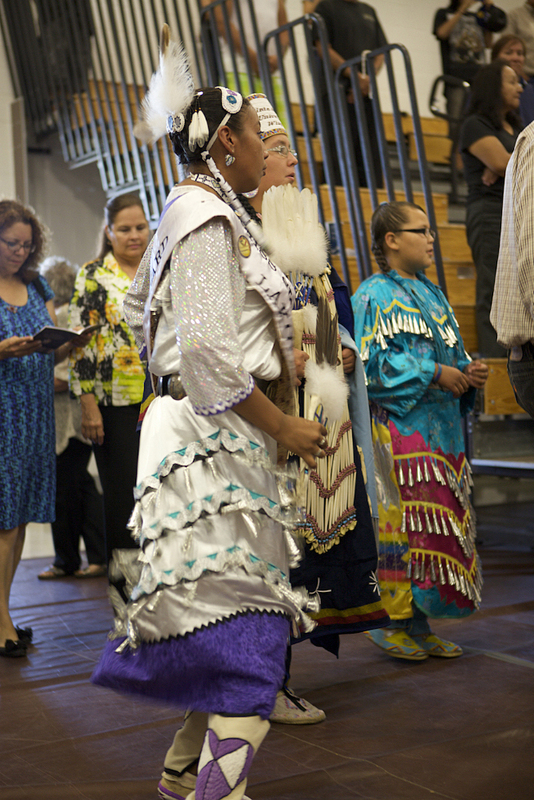 SFIS is an example of how Native American education has taken a 180-degree turnaround. 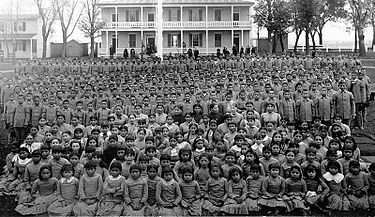 The Indian Boarding School era was a period in American history that saw white people attempting to assimilate the native student U.S. western society with the following framework in mind “Kill the Indian, save the man.” It began with Carlisle Indian School and continued into the 1850’s with the start of SFIS. 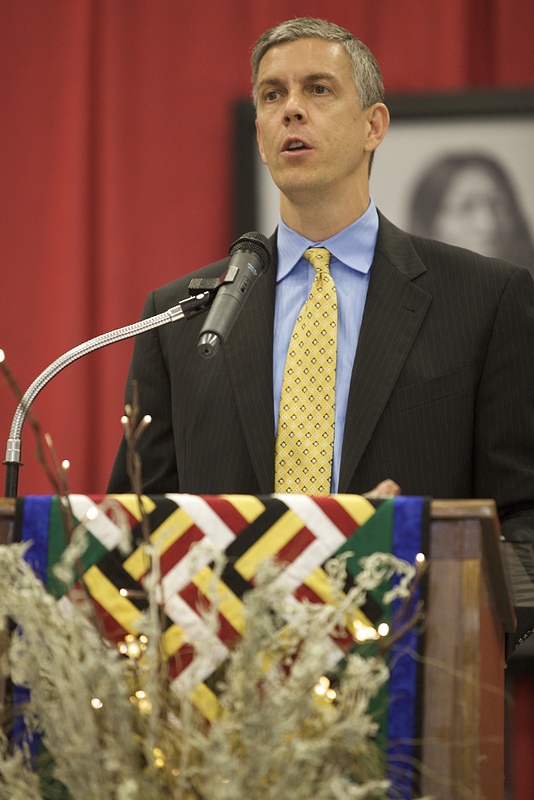 The All Pueblo Indian Council (AIPC), in fear of losing more of the Pueblo Indian languages and cultures, took action to gain ownership over SFIS in 2001.In this ownership; SFIS has evolved into an incredible institution for over 700 middle and high school Pueblo Indian, Navajo and Mescalero Apache students. SFIS has created many opportunities for their students to thrive in middle, high, and postsecondary school. Now it stands as an alma mater to a dozen Gates Millennium scholars within the last 3 years, many Ivy League students, and a high number of future Indian Country leaders. These high success rates are strongly related to how SFIS integrates traditional and cultural philosophy in their school conduct and curricula. It was an affirmation of this success when First Lady Michelle Obama agreed to give the commencement address for the SFIS class of 2016. 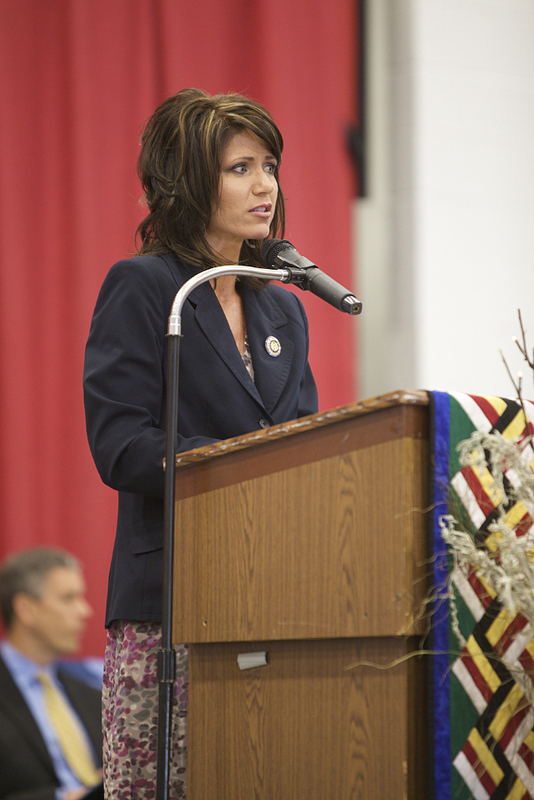 The First Lady’s visit to SFIS has many native students and both native and non-native educators excited and feeling extremely accomplished. 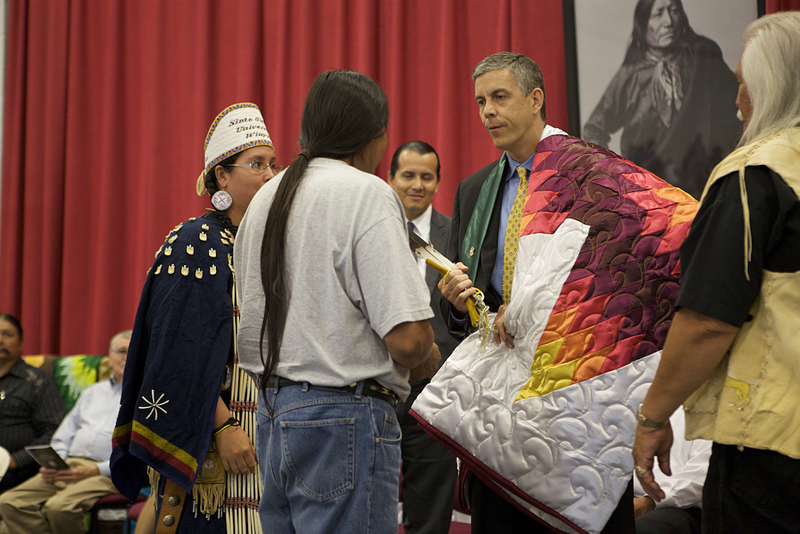 In addition to this excitement, Michelle Obama’s visit also has many interested in the federal government’s efforts to promote the success of educational outcomes for native students. 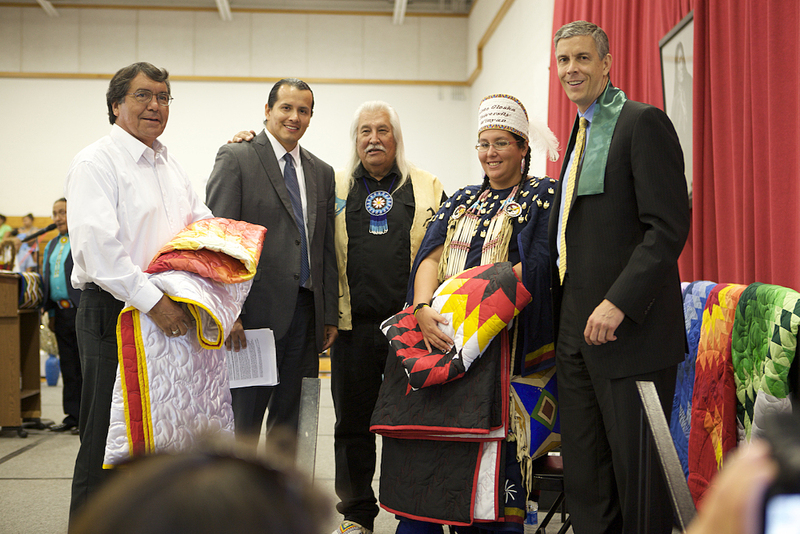 In similar efforts, the honorable U.S. Secretary of Education, John King Jr., visited two schools on the Pine Ridge reservation on May 12 and attended the fourth Pine Ridge Educator Gathering hosted by the White House Initiative on American Indian and Alaska Native Education (WHIAIANE) and several federal agencies including the U.S. Department of Health and Human Services. complexity such as when I found out that the word ‘eyaani’ Keresan (the language spoken by Acoma Pueblo) language, doesn’t have an English connotation that justifiably describes it. To later find out it powerfully relates to the “essence in life” in moments of prayer in the Keresan language. It means love for students who grew up learning the sequence of items and people in a prayer from their fathers while learning algebra. It means love for students who attend pre-school in mobile homes and have dreams of attending one of the country’s most prestigious institutions. It means love for me. Deputy Secretary of ED Jim Shelton and Executive Director of WHIAIANE William Mendoza meet with boys and young men from CLOSE UP’s American Indian Youth Summit. On March 21, 2014 the U.S. Department of Education released the 2011-2012 Civil Rights Data Collection (CRDC). 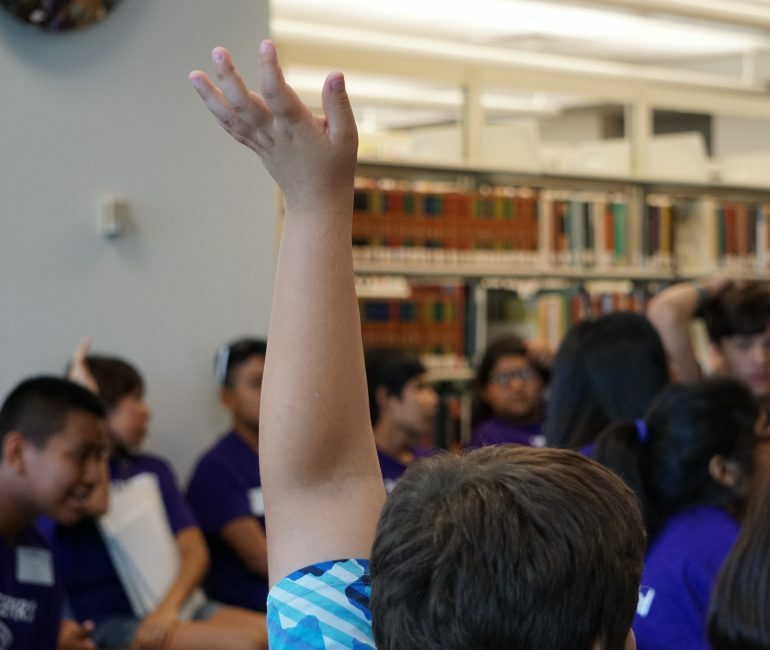 The CRDC is a vital resource that provides the public with the opportunity to search how our nation and individual states, districts, and schools serve all students of color, English learners, and students with disabilities. This marks the first time since 2000 that the Department collected data from every public school in the nation. Fewer than 50% of American Indian and Native-Alaskan high school students have access to the full range of math and science courses in their high school. Nationwide, 1 in 5 high schools lacks a school counselor. American Indian/Alaska Native students represent 1% of student enrollment but account for 3% of the referrals to law enforcement and 2% of school related arrests. American Indian/Alaska Native males represent 13% of out-of-school suspensions in the United States. The data proves it: Boys and young men of color — regardless of where they come from — are disproportionately at risk from their youngest years, through college, to the early stages of their professional lives. While the Administration has made consistent progress on important goals like reducing high school dropout rates and lowering unemployment, persistent gaps in employment, educational outcomes and career skills remain for many boys and young men of color. In order to address the persistent gaps, the President established the My Brother’s Keeper Initiative which is an interagency effort to address the persistent opportunity gaps and measurably improve the expected educational and life outcomes faced by boys and young men of color. The Initiative will help determine which public and private efforts are working and how to expand upon them, how the Federal Government’s own policies and programs can better support these efforts, and how to better involve State, Tribal and local officials, the private sector, and the philanthropic community. To better assist the function and mission of the task force, the White House Initiative on American Indian and Alaska Native Education will host a series of round table discussions throughout Indian Country. The round tables will bring young American Indian and Alaska Native boys and men together to talk about issues they are facing, possible solutions and to hear stories that demonstrate how they are creating and expanding ladders of opportunities. The first of these round table discussions were held in Washington, D.C. on March 14th in collaboration with CLOSE UP’s American Indian Youth Summit, held in conjunction with the National Congress of American Indian’s Winter Executive session. 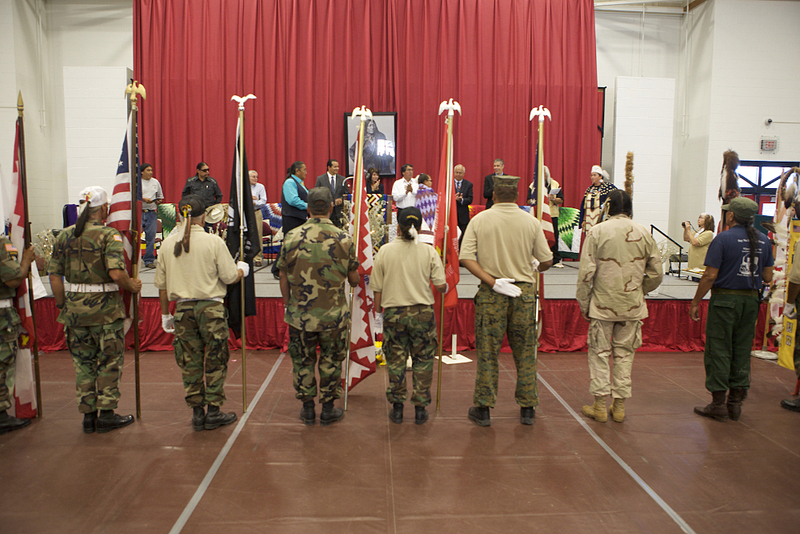 The young men who participated in the round table were from nine different Tribal nations. 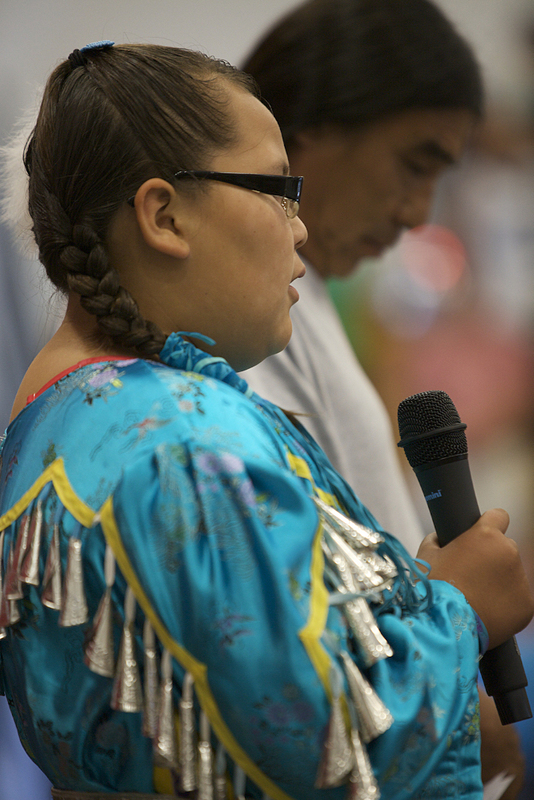 Since 1989, Close Up has partnered with leading American Indian and Alaska Native organizations to connect with Tribes, schools and youth organizations throughout the country to engage and recruit Native youth and educators for their programs. 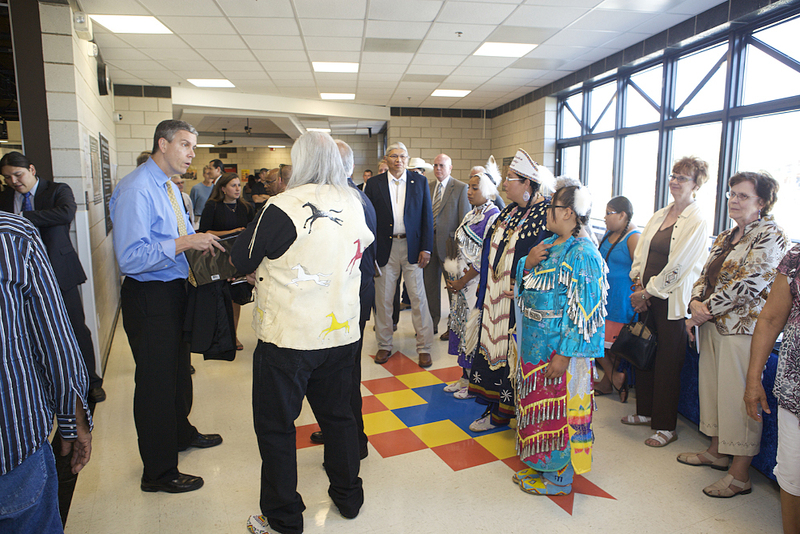 Jim Shelton, Deputy Secretary of Education and Executive director of the Task Force, and William Mendoza, Executive Director of the White House Initiative on American Indian and Alaska Native Education, met with the young men at the U.S. Department of Education. During the discussion these young men were able to share different issues they face and projects they are working on in their community. Issues the young men touched upon included the importance of a strong supportive family, resisting drugs and alcohol, and suicide prevention. The young men believed that addressing these issues would improve their educational environment and their academic performance. William Mendoza, Executive Director of WHIAIANE with the round table participants. If you don’t already follow us on twitter, please do so at @WhiteHouseAIAN and we would love it if you liked our Facebook page! Washington, D.C- WHIAIANE is excited to start spreading the word about our new project, the Native Student Environment Initiative (NSEI). NSEI, created in response to testimonial gathered during WHIAIANE’s 2014 listening sessions tour, aims to address four main target areas for Native student concerns: imagery and symbolism, stereotypes, bullying and school discipline. On July 8th, WHIAIANE, in collaboration with staff from the Technical Assistance Group at ED, hosted a webinar for the Comprehensive Centers and the Equity Assistance Centers to introduce NSEI. WHIAIANE heard insights from participants regarding outreach, engagement and execution of NSEI and learned about current and historic efforts in place to address Native student environment issues. WHIAIANE looks forward to continuing this conversation about NSEI with upcoming webinars open to the public, which will introduce resources like the 2014 Listening Sessions Report and toolkits targeted towards youth and NSEI’s four main initiatives. WASHINGTON, DC – On Wednesday, December 5, President Obama will host the White House Tribal Nations Conference at the Department of the Interior. The conference will provide leaders from the 566 federally recognized tribes the opportunity to interact directly with the President and representatives from the highest levels of his Administration. 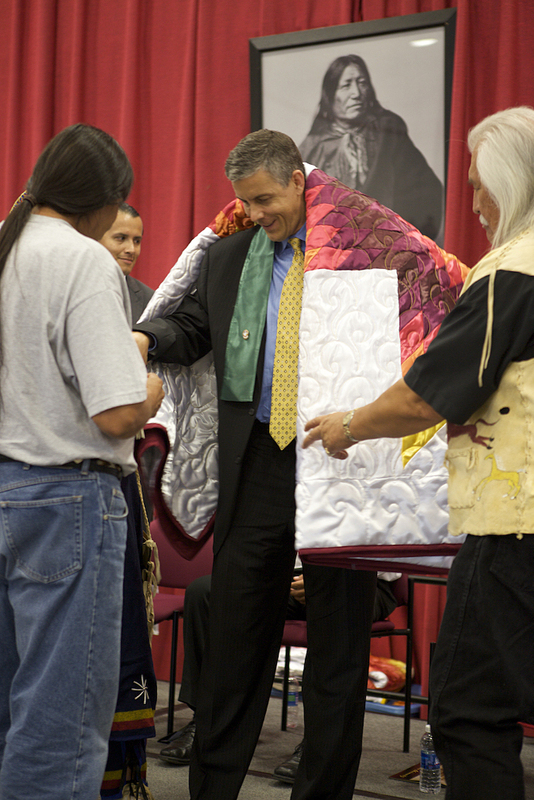 Each federally recognized tribe will be invited to send one representative to the conference. 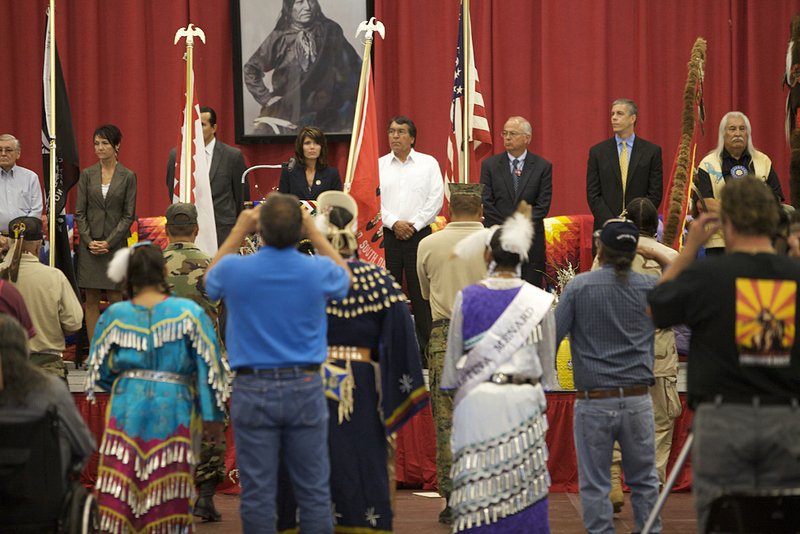 This will be the fourth White House Tribal Nations Conference for the Obama Administration, and continues to build upon the President’s commitment to strengthen the government to government relationship with Indian Country. Additional details about the conference will be released at a later date. The White House Initiative on American Indian and Alaska Native Education is excited to share with you the latest offerings from the Green Strides Webinar Series! 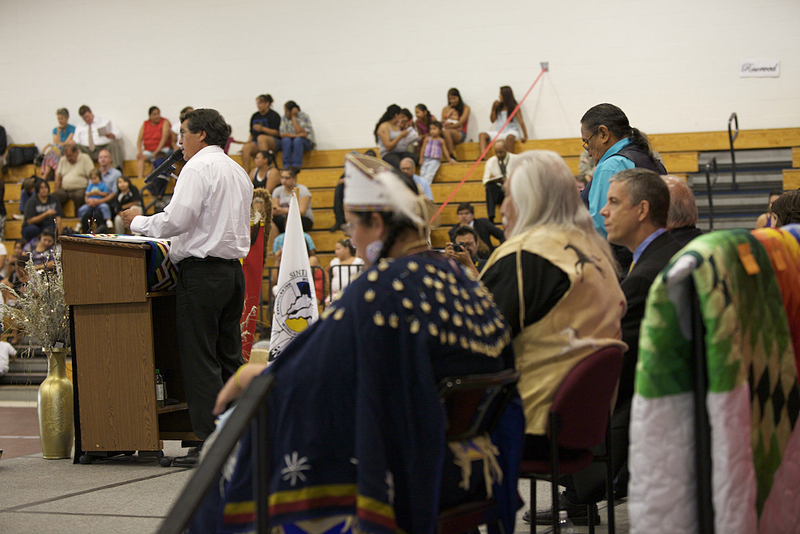 We want to continue our commitment to connecting tribal communities and federal agencies to one another. The Green Strides Webinar Series offers free education webinars from various federal agencies and may be of interest to educators, school administrators and facilities managers. The webinar series is designed to bring to you an array of resources that include, how to reduce a schools’ environmental impact and costs; improve health and wellness; and teach effective environmental literacy, including STEM, green careers, and civic engagement. These agencies are eager to provide you with increased opportunities to access their free resources and programs and your participation in these sessions can make a difference in helping to support the important work you are doing! The Green Strides Webinar Series includes some of the best in federal school resources. Click to find out more about the Green Strides Webinar Series or paste http://www2.ed.gov/programs/green-ribbon-schools/webinar.html into your browser. Awarded by the National Rural Education Association. Photo courtesy of the National Rural Education Association. School in Chinle, Ariz., which enrolls about 925 students on a Navajo reservation. 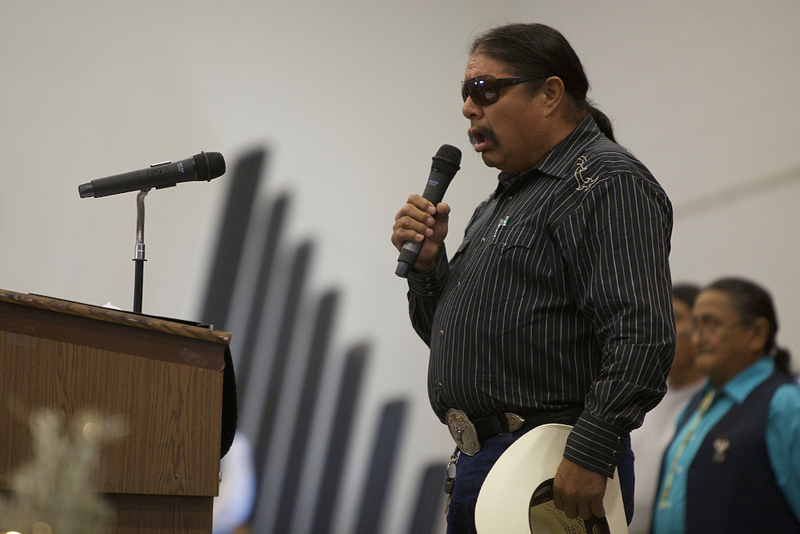 It was the first time rural Arizona education leaders had nominated a Native American teacher for competition. Bill Blong, executive director of the Arizona Rural Schools Association, wrote in his nomination letter that the selection committee was impressed with the young teacher who works to be a good influence and dynamic mentor. Martin knew he wanted to be a coach and teacher by middle school, and he never wavered from that goal. 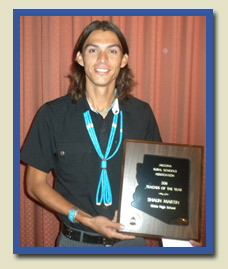 He was recruited to run at Northern Arizona University and accepted an academic scholarship from the Navajo Nation. 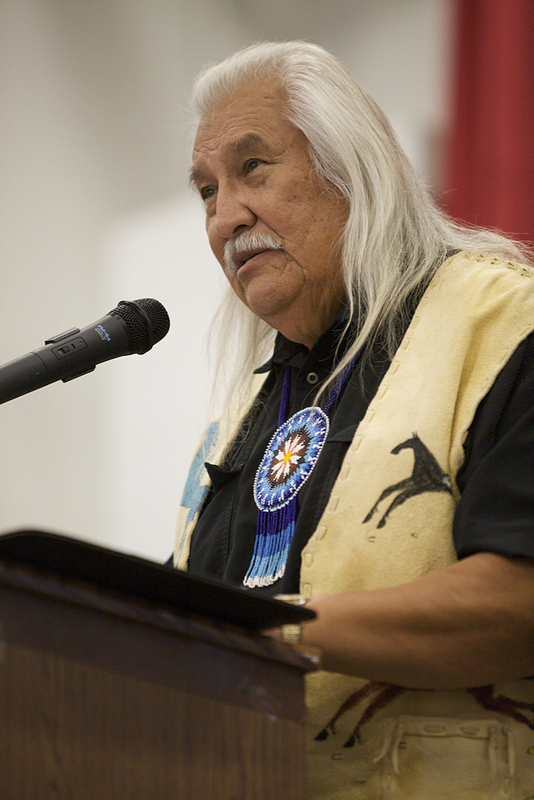 He was among only a handful of Native American athletes in the NCAA Division 1 athletic program. 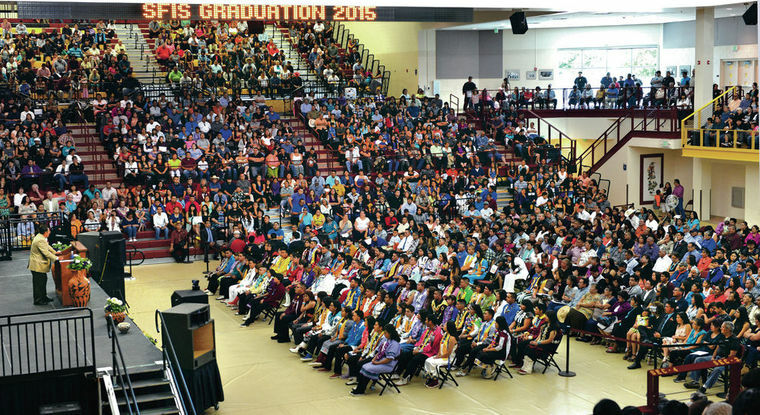 He graduated from college in 2004 and took the teaching position in Chinle on the reservation. He said in his competition application that he strives to teach students the most valuable lesson he’s learned: turning negative situations into positive ones. He implemented a distance running program at Chinle High and at the district’s other six schools. For students in grades 2 through 12, Martin uses the club to link distance-running skills to success in the classroom and in life. His cross-country and track teams have won 13 state titles, and 14 runners have been individual state champions. But he said his most significant accomplishment is that 44 of his students have gone to college on athletic or academic scholarships. Many students in his community don’t go to college. The Rural Teacher of the Year award receives a $2,000 honorarium, and the school district receives $1,000 for instructional materials and school supplies. Martin presented at the National Rural Education Association convention and research symposium on Oct. 13 in Cincinnati, Ohio.